My challenge with many of my coaching clients is to explain to them how probability and odds work in the favor of the premium seller in the world of options trading. Wouldn’t you prefer to be the insurance company or the casino? In this example I will use the common roulette wheel that we see in most American casinos. First and foremost I want to emphasize that in no way am I correlating probability based trading to gambling. Quite the contrary, I use mathematical probabilities to put the odds in my favor when I execute my option trades. Of course risk is commensurate with return and that is the beauty of being an options seller. We can choose our winning percentage and predict our subsequent return. Now picture you are standing in front of a large roulette wheel at the casino. The roulette wheel has 38 unique numbers on it. The numbers range from 1 to 36 plus 0 and 00. As a player you can bet on any of the numbers 1 through 36. Surrounding the roulette wheel are 36 eager players. Each player “bets” one dollar and every player selects a unique number from 1 to 36. No player selects either 0 or 00. The casino takes in $1 from each player for a total “premium” received of $36.00. The payout to the winner is the entire “premium” received of $36.00. It should be very clear to the reader that each of the 36 players who bet $1 has an equal chance of winning the entire pool of $36. At first glance the player computes his chances being 1 in 36 of winning. However, upon further consideration, the casino has two numbers ( 0 & 00) that they control without having contributed to the premium. The true odds for the player are 1 in 38. The casino has a 2 in 38 chance of winning or about 5%. ( 2 / 38 = 5.26%). This represents the ‘edge” to the casino. 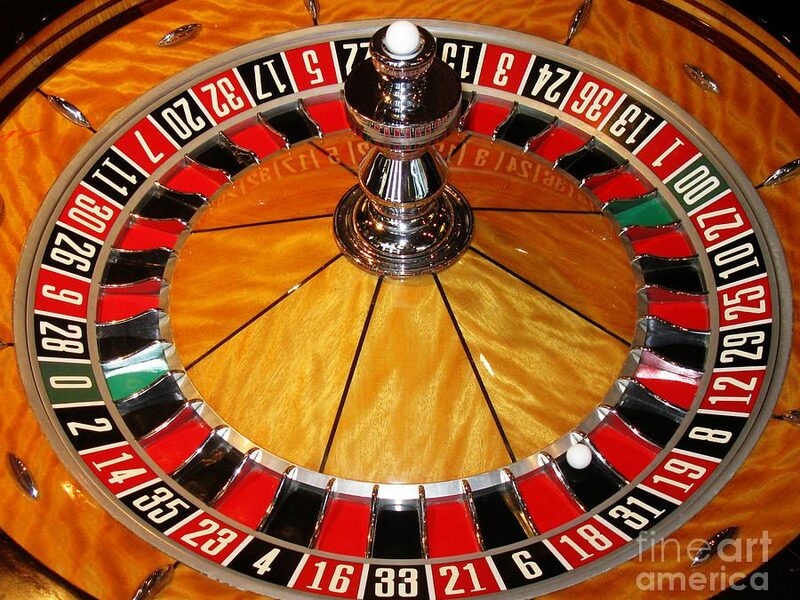 I trust you will admit that each time the roulette wheel is spun there are equal odds for the ball to finish in one of the 38 unique numbers. The resulting number in each spin is totally random and completely independent from the previous or next spin of the wheel. Because of the complete randomness of this action and the fact that the Law of Large Numbers dictates as the number of spins becomes statistically significant the result will get closer and closer to each of 38 numbers appearing an equal number of times. Accepting these facts then let’s make a presumption that the roulette wheel has been spun 38,000 times, admittedly a significantly large number. Using this knowledge now make a little “stretch” and say that each of the numbers has come up exactly 1,000 times (the larger and larger the sample size becomes the closer this result will become reality). Each player has won exactly 1,000 times. Each of the 38 numbers has occurred exactly 1,000 times. In conclusion, each player only wins 2.6% of the time (1/38). The casino has received $72,000 in winnings without having contributed anything. The casino has received 5.26% of the total premium paid in by all 36 contributing players. The casino has not contributed to the premium pool but of course has provided the infrastructure to facilitate the game and has assumed the risk of paying the winner each and every time while waiting for their statistical edge to reimburse them. This illustrates the “edge” to the casino. The only function that the casino now has is to have the roulette wheel spun as many times as it possibly can. Every time the wheel is turned the casino has a 5.26% edge. It is all about the number of occurrences! Another way to look at this is that each time the wheel is spun the house theoretically collects $1.89 ($36 in total premium received x 5.26%). Granted the casino doesn’t actually collect $1.89 for each spin of the roulette wheel but by winning its’ statistical percentage of all spins it equates to this amount. Each player that is on the other side of the “trade” theoretically loses about .05 on each and every spin. If the player were allowed to bet $.95 on each spin (instead of the $1.00) then the odds would be even for the player(s) and the casino. “They don’t build these large, beautiful palaces by breaking even! It should now be clear to the reader that the only function of the casino is to get enough players placing bets and generating as many spins (occurrences) as it can. Of course they relish the occasional winner. The excitement of winning encourages others to make this “trade”. But the casino knows full well that the odds are on their side and in the long run they will be successful in collecting more than they pay out. In summary this is exactly what Probability Based Trading is all about. We know precisely what our odds are for each trade that we take. We only take trades that put these odds in our favor (our edge). Our only job is find trades that meet our criteria and execute a large number of trades (occurrences). The larger our statistical size becomes, the closer and closer our results will come to our statistical outcome.